Love stained glass but looking for something a little different? 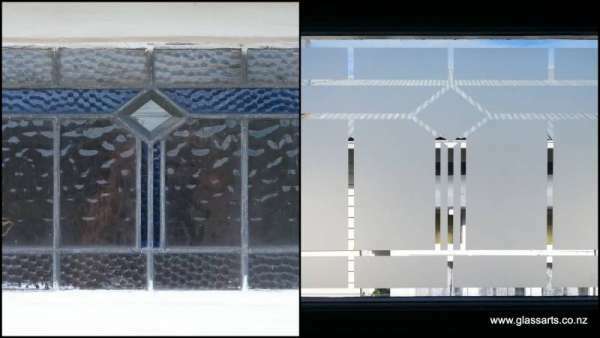 Our client had existing stained glass in their Auckland home but wanted to replicate the pattern and introduce etched glass to the rest of the home. An elegant and unique addition. 2018 © GlassArts Design Limited. All rights reserved.